Sony recently launched PlayStation Move, the company's highly anticipated motion control system that translates your real world movements into video game moves. 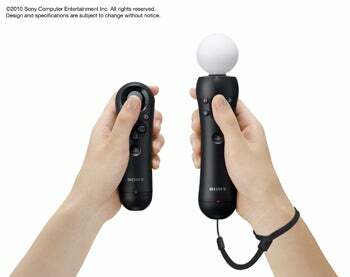 PlayStation Move is a handheld controller with a glowing orb on the top that works in conjunction with the PlayStation Eye camera to track video game movements like punches, sword strokes, and tennis racket swings. The PSMove also has regular controller buttons for shooting games that require you to pull a trigger. 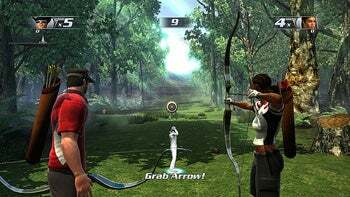 PlayStation Move was introduced under its official name on Wednesday at the 2010 Game Developers Conference in San Francisco. The announcement followed last year's sneak peek at Sony's motion control system during the E3 conference. When will PlayStation Move be available? PSMove will be released worldwide in late 2010, but Sony hasn't announced a specific date yet. How will the PlayStation Move be bundled? How Much Does PSMove Cost? There's no firm price yet, but the starter pack will cost less than $100, according to Sony Computer Entertainment America's Senior Vice President of Marketing Peter Dille. Are there any peripheral add-ons you can get for Move? Sony has developed a second wand called the sub-controller. The sub-controller has an analog control stick that you hold in one hand while your other hand is busy using the PSMove wand. This will allow you to easily move your in-game avatars around for action games like SOCOM. How does PSMove connect to the console? The PSMove and the sub-controller both use Bluetooth to connect with your console. What new games are on deck for PSMove? New titles in the works include Sports Champions (working title) that features archery, futuristic table tennis, and Roman Empire-style gladiator combat. There's also a TV game show title called TV Superstars; a kung fu fighting game called Slider; a bare-knuckle brawler called Dukes; a shooting game called The Shoot; and a family oriented game called Move Party (working title), according to the PlayStation Europe blog. Many of the games detailed by the PlayStation Europe blog were also demoed at GDC on Wednesday. So most, if not all, of these titles should be coming to the U.S. Check out PlayStation Europe's Flickr stream to see more game play images. Sony says new versions of familiar titles like LittleBigPlanet and the upcoming SOCOM 4 and EA's Tiger Woods 2010 will be PSMove friendly. Sony says PSMove lets you use true-to-life movements, accurately tracks your actions, and then turns them into precise on screen movements. The PSMove will also give you physical feedback, like vibrations, similar to the Dual Shock controllers. That all sounds great, but I'm waiting for PCWorld's tests say to see how well PSMove performs in independent trials. Later this year, Microsoft is expected to release its new motion control system for the Xbox 360 dubbed Project Natal. Unlike the PSMove, however, Natal tracks your real world movements without the need for a peripheral controller. If you want to see Sony's PlayStation Move presentation at GDC, check it out on UStream.